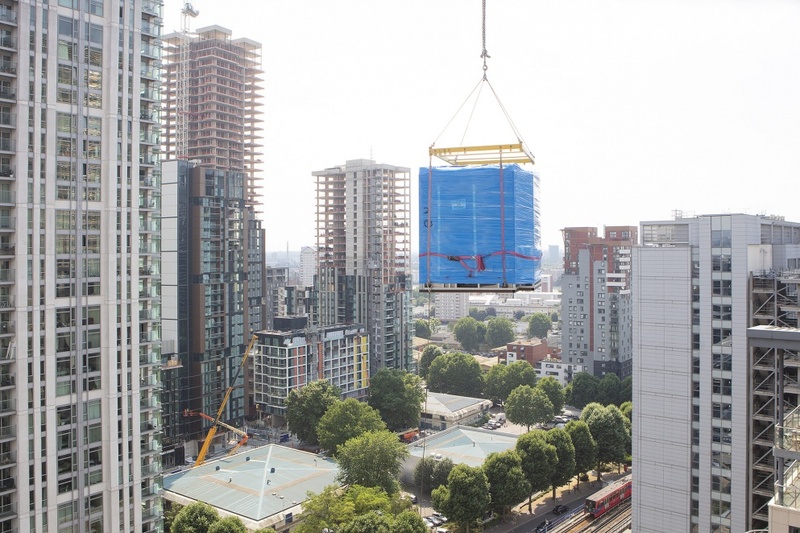 Offsite Solutions, the UK’s leading bathroom pod manufacturer, has announced how it can help construction clients and contractors mitigate some of the economic uncertainty around Brexit. Many main contractors and developers are concerned about potential cost inflation and project overruns as a result of Brexit, particularly on projects spanning the end of the first quarter of 2019. 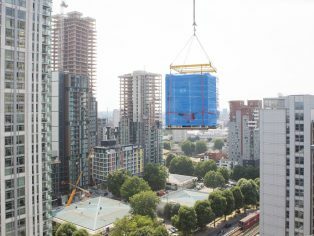 By placing an order for bathroom pods with Offsite Solutions before 31st March 2019, the price agreed will be fixed for the duration of the project, regardless of the effects of the UK leaving the EU. By entering into contract for Offsite Solutions’ factory-built bathrooms, contractors and developers will secure a fixed price for one of the larger packages in a building project and at least 12-24 months ahead of the traditional procurement process for in-situ bathrooms. This solution provides certainty of cost and programme and removes the risk of wage inflation or material price increases. With site-based or in-situ bathroom construction, several packages are tendered separately and typically at a later stage in the build programme. This leaves the contractor or developer much more exposed to cost increases for the finishing trades. According to the RICS, UK construction could lose eight per cent of its workforce post-Brexit – around 200,000 EU workers. The availability of labour in urban centres is one of the biggest challenges created by Brexit and could lead to significantly higher project costs. If there are restrictions in the movement of labour, there will be pressure on wage inflation, which could be as high as 15 per cent because of the reduced labour pool. The fall in the value of sterling also means that the UK will be a less attractive work destination and no longer the first choice for construction workers. Over the last 20 years, the ready availability of overseas labour has resulted in very low levels of apprenticeships in the UK. If these workers do return to their countries of origin, the UK simply does not have sufficient domestic labour to address the skills gap. It is also estimated that at least a quarter of all materials used in UK construction are imported – underlining the susceptibility of the industry to currency fluctuations. Reports from manufacturers and construction companies predict material price increases of up to 20 per cent because of the rising cost of materials imports and the pressure of the weaker pound. There is also the possibility of additional duties if the UK loses the benefit of the single market and limits are imposed on quantities. Offsite Solutions offers the widest range of bathroom pods available in the UK, to suit almost any building type and application. Options include steel-framed pods with porcelain-tiled finishes for high-end apartments, student residences and hotels; robust and low maintenance GRP composite pods for student accommodation, care homes, social housing and healthcare; hybrid pods for specialist projects, and award-winning demountable GRP pods for ease of installation in refurbishment schemes. For further information, visit www.offsitesolutions.com, call 01278 780807 or email info(Replace this parenthesis with the @ sign)offsitesolutions.com.